White designs Jewellery was founded in 2008, with the aim of providing, a bespoke Jewellery design service. David White (the founder of White designs) has worked within the trade from the age of 14. Having worked at an established jewellers as an apprentice jeweller, sweeping the floors of the workshops to becoming a competent jewellery designer and maker. David studied at the Kent institute of art and design where he achieved his degree in Goldsmithing, Silversmithing, Jewellery design and manufacture, with honours. 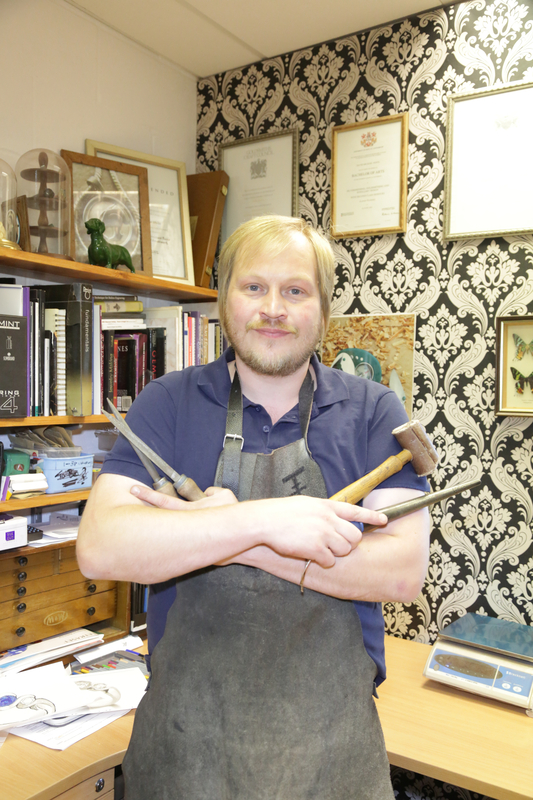 David’s college experience allowed him to experience the wider world of jewellery design and processes and gave him the opportunity to enter and win several national jewellery design competitions. White designs provides a tailored design service seldom seen on the high street today. Davidís main passion lies with working in close contact with the customer to provide an original handcrafted piece and an enjoyable experience. White Designs offers a unique Bespoke Design service, a Jewellery Experience Day in the workshop, repairs, alterations, polishing and engraving. To see a more detailed list please visit the services page. Having a piece of hand crafted jewellery that is truly unique is an enjoyable experience. Transform you thoughts and ideas into reality by creating a bespoke piece that you cannot buy from the high street.